No, this couple did not hire me to take their wedding photos and no, I did not know this couple until approximately 5 minutes before they said "I do." We met by pure serendipity; and for me, it was simply being in the right place at the right time. I was on a personal 6 day hiking/camping trip in the beautiful Yosemite National Park. I found this spectacular spot at Taft Point (in the Park) to watch the sunset on the first evening that I was there, and had returned to that spot for every sunset there after. 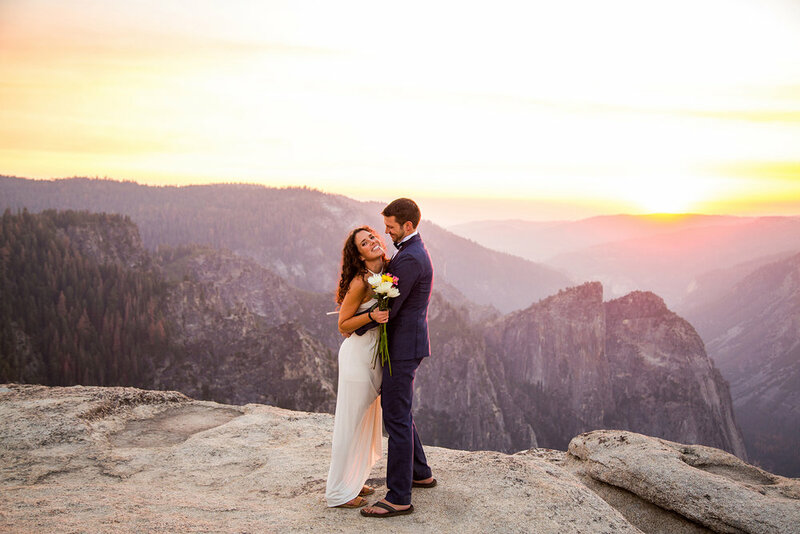 On the last night, I was stoked to have the best seat at Taft Point (a random rock), to watch the sun set, only to have this handsome gentleman tap me on the shoulder and politely ask me to move so that he could get married there in a few minutes. I, of course, moved right away and then looked around to realize that it was him, his bride, and a couple of their buddies (dog included), but no cameras. The setting was one of the most stunning views I've ever seen in my life, and they were about to get married, and not have any of it captured?! I could not believe it. I had my camera with me, naturally, and I thought about offering to take a few pics of their elopement, but ultimately decided that maybe they just wanted a private moment. Thankfully, the friend I was with is super outgoing and has this contagious spontaneity about him, and casually offered up my photography services for me. "Do you guys have a photographer? Well perfect, RACHEL happens to be a wedding photographer and has her camera with her!" Charley's eye's lit up a bit and I could tell he was beyond thrilled with the irony of this moment, he exclaimed over to his bride who was getting her dress on, "BABE, GUESS WHAT?!! We have a wedding photographer!!" Their good friend officiated, it was short and sweet, and they sealed it with a kiss at sunset. What a way to get married! 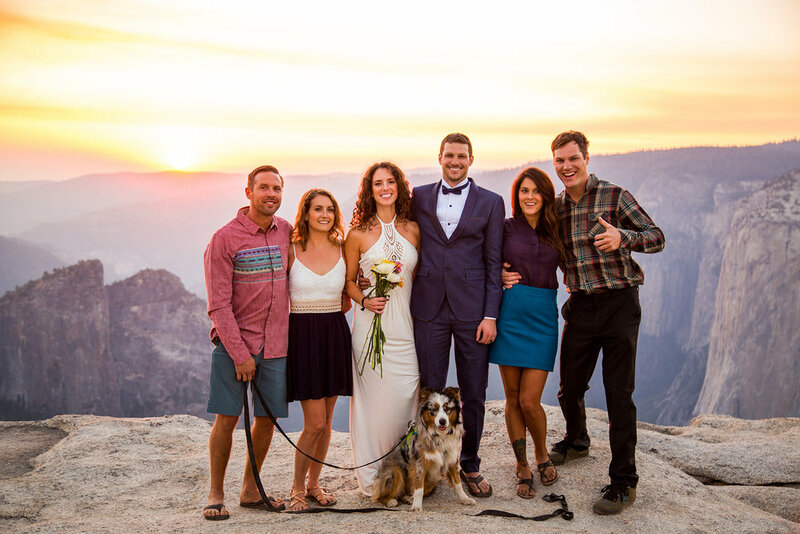 When I asked them why they chose Taft Point, Charley mentioned that it was just special to them (and I would find out later why). 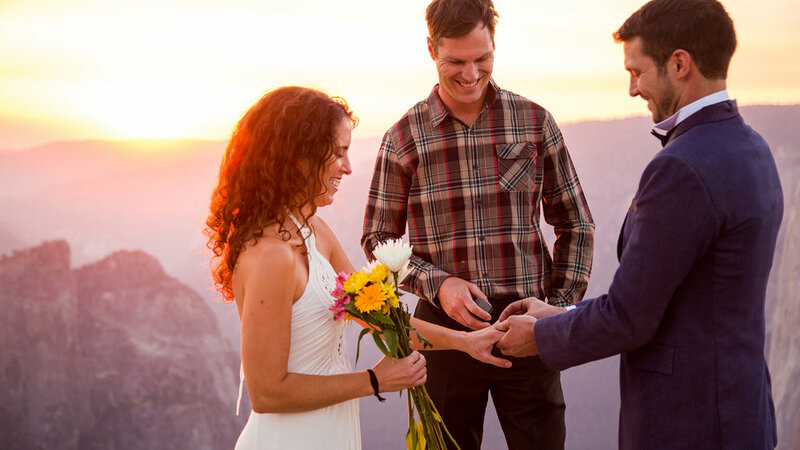 They are definitely a very outgoing, adventuresome couple and even after only knowing them for just a few minutes, I found their elopement to be very fitting for them. A few days ago when I shared the images with Charley and Elle, I received not only the gift of their gratitude and kind words, but Charley shared with me the back-story as to why they got married at Taft, and why exactly it is so special to him. I had heard about the fatal accident last year , but while photographing Charley and Elle's elopement September 8th this year, had no idea of the relation or even of the exact location (of which I was standing). After finding this out, I realized how much of a "God moment" this truly was. 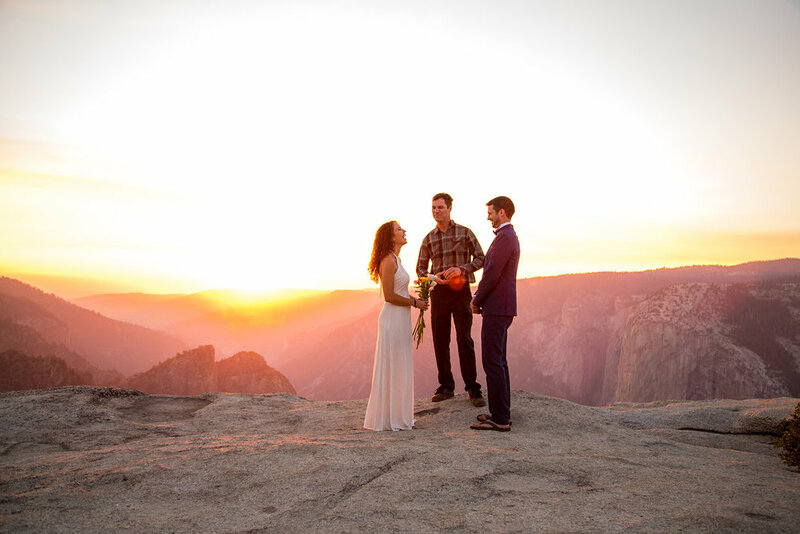 That out of all of the days in the year, I happened to be in Yosemite Park, specifically at Taft Point, the same day, in the same 20 minutes, that Charley and Elle eloped. I feel incredibly humbled, grateful, lucky, blessed, etc. that God put me at Taft in that moment to not only capture their magical "i do's" but to just meet them in general! Besides, how gorgeous are they?! 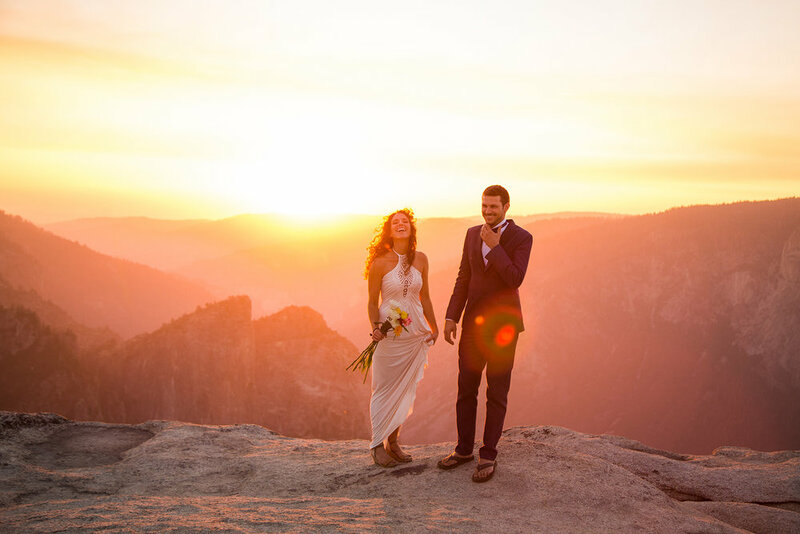 Rad couple, epic setting, captivating sunset, and perfect elopement! Well done Charley and Elle, well done. I wish you guys many beautiful sunsets, many epic life adventures, and all kinds of continued serendipity in your future as husband and wife.